Power fishing isn’t just for those days when the bass are easily patterned and aggressive. 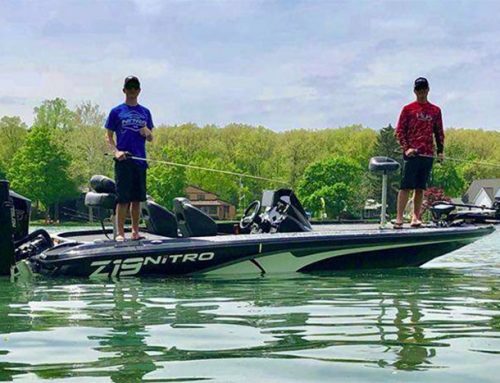 This spring was a prime example when he got off to a great start on the Elite Series Tournament Trail.We fish multi-day events, so when weather and fishing conditions change as dramatically as they did this spring, daily adjustments were critical,” he says. “By covering a lot of water and using a multitude of techniques quickly, I was able to adapt faster than guys who are more methodical.“VanDam’s lure selection is predicated on whether the fish want a lure fished horizontally or vertically, which he determines by assessing the water clarity, temperature, type of lake, cover and the seasonal pattern. He is always studying the mood of the fish. If it strikes short on a spinnerbait, that tells him he had the fish interested but not fully committed. If they crush it, he knows he’s nailed it.“You can’t accept a strike on a given lure as being the exact pattern,” he insists. 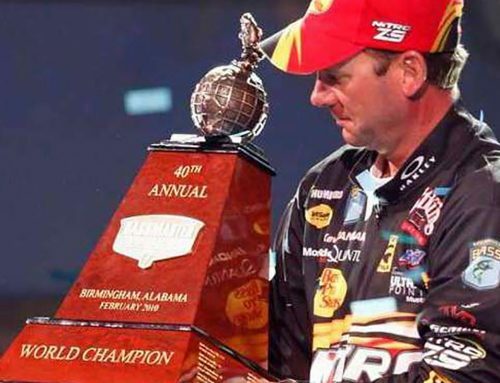 “You have to strive to get closer to the exact lure, exact retrieve, and pattern that will produce the best and most strikes at that given moment. 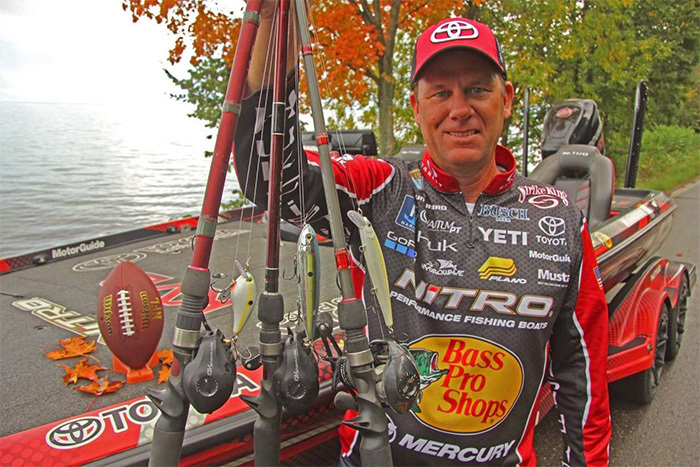 While some anglers believe power tactics and finesse fishing are polar opposites, VanDam disagrees.“There’s not a lure I wouldn’t use, including tubes, shaky head worms and drop shots,” he offers. “It’s about how you present it efficiently and effectively.“VanDam says the system dictates making precise casts to specific spots. You rarely see him working a lure all the way back to the boat.“I see guys make long casts with a shaky worm, then work every inch back to the boat and do it over and over again,” he says. 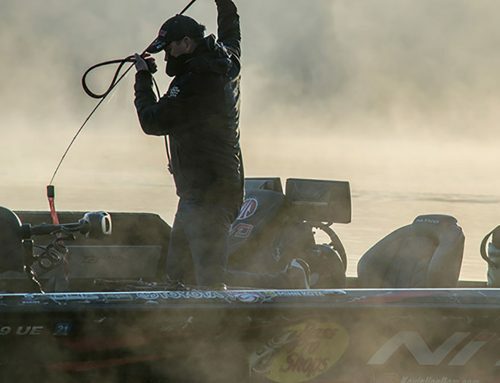 “They’re spending a lot of time with their lures in dead water, and I can’t do that.“VanDam says experience and maturity have made him a better power fisherman. In his early years, he simply ran around and fished fast all the time.